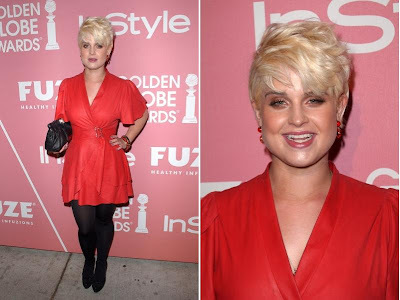 Kelly Osbourne attended the 2nd Annual Golden Globes Young Hollywood Dinner. Kelly was looking fabulous in a red dress matched with three pieces from the holiday collection of House of Harlow 1960. Kelly wore the red and black House of Harlow 1960 Cabachon Bangle's. 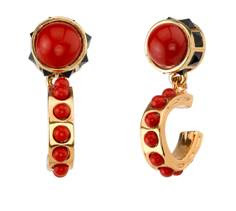 She also wore a red pair of House of Harlow 1960 Cabachon earrings.